Food, reunions, laughter and Christmas songs! It’s also the perfect time for you to brush up on your Chinese language lessons. 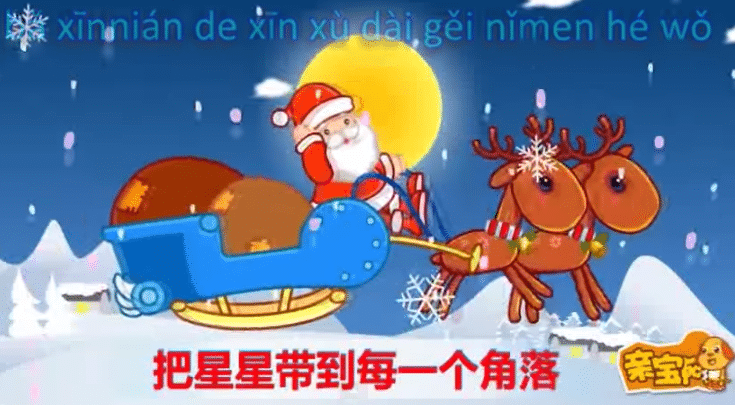 With all the merriment that’s going on around you, it’ll the perfect opportunity to learn new Christmas songs—in Mandarin. “Really? I can learn Chinese with Christmas songs?,” some of you might be asking. Yes, really! Here, I’ve even compiled a list of a couple of reasons why these Chinese Christmas songs can help you out in your learning. Timely – It’s that time of the year! I’m sure most of your Chinese lessons are geared towards everyday words and phrases: greetings and conversational phrases. More often than not, you’ll overlook the need to learn the Mandarin characters related to the most widely celebrated holiday in the world. So if that’s the case for you, here’s your chance to take advantage of the holiday season by picking up some crucial festive words. And learning will be effortless and so much fun with our favorite Christmas tunes and jingles. New vocabulary – From Santa to reindeers to Christmas stockings, you’ll surely be amazed at the rich vocabulary you’ll learn from these simple Christmas songs. They have so many characters that are seldom used in our daily conversations that you’ll want to learn as many songs and as much as much holiday vocabulary as you can. 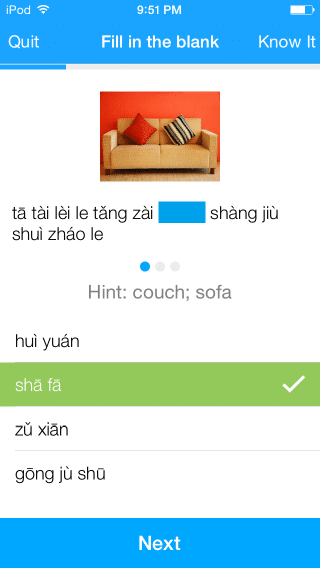 Familiar – One of the tricks we’ve shared with you over and over again to help you retain your Chinese language skills is to repeat the characters as many times as you possibly can. This is why I highly recommend learning these Chinese Christmas songs. Since the tunes are already familiar to you, you’ll know the number of syllables needed in a stanza. All you have to do is insert the Mandarin characters. Even without your guides, you’ll be able to repeat the verses on your own. This makes your Chinese learning easier and faster. 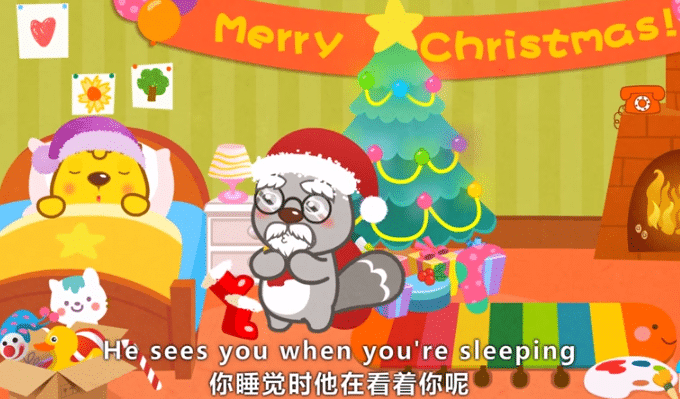 It’s not every day that we get the chance and the momentum to learn Chinese with these Christmas songs. So to help you make the most out of it, here are some tips to get you started. Choose your favorite Christmas song. It’ll encourage you to learn the piece faster. Most likely you’ve already memorized the English version by heart, so it’ll be easier for you to remember the Chinese lyrics as well. It’ll help you understand the characters better and at a faster pace. Go for catchy tunes. This way you can clearly follow the beat, and the songs will play in your head over and over again. In no time, you’ll find yourself humming the Chinese lyrics. It’ll be a great starting point, and from there you can decipher the meaning of each character. Plus, you’ll find it easier to retain those characters in your memory. Pick artists with a clear voice. You’ll want to listen to artists who can pronounce each character accordingly. 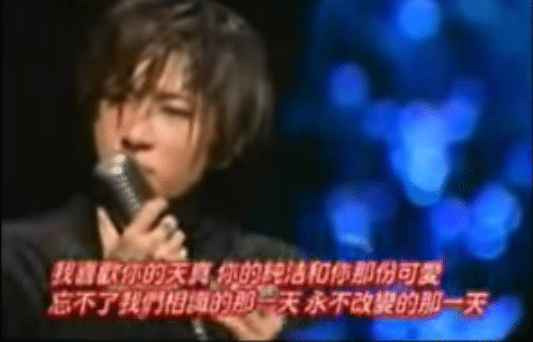 A lot of Chinese singers have a tendency to mumble their words. It’s become some sort of a trademark in the industry. But you don’t want that; choose artists who have a clear voice. It’ll help you follow the lyrics with ease. Sing along! Don’t just silently read the lyrics while listening to the songs; that’s no help at all. You’ll get the most out of listening to Chinese songs if you sing along to them. This will not only help increase your vocabulary, but it’ll also improve your pronunciation and Chinese speaking skills. Take note of the characters, not the sentence structure. Lyrics are composed to fit the tune and beat of the song, so they might not always make the most sense. The greatest takeaway is therefore the rich vocabulary of the lyrics. Never try to understand the structure of the sentences and the stanzas—it’ll only confuse you. This is not your regular Christmas song. It’s more of a ballad that compares a man in love to that of a boy opening his first gift on Christmas Day. But what’s really nice about this is that it has a soothing melody, so you’ll get to follow the lyrics. On top of that, you’ll surely love the rich vocabulary it possesses. 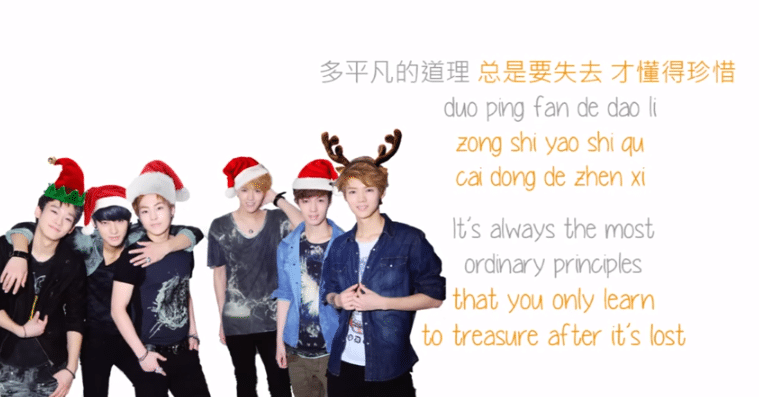 And despite Exo being a Korean boy band, the Chinese lyrics are spot on. By far, this is our favorite Christmas song. And it’s the perfect song for you to learn! But if you’re going to search for a video of this, don’t get confused. There are two Chinese titles for “Jingle Bells.” One is what I’ve mentioned above, the other is “叮叮当,” which is literally “the sound produced by the bells.” Between the two, there’s not much difference; the lyrics are almost the same. Wong has always been famous for his love songs, and this piece is just the perfect song for lovers out there. Christmas in most Chinese countries is a day for couples, which sets it apart from the way other countries celebrate the holiday. So this song is the perfect testament to true love—one that knows no boundaries across time and place. This one’s a really catchy song. It’s like one of those nursery rhymes that we’ve learned as a kid: really easy to follow. It tells of the life of a snowman and the fact that it just disappeared one day. They go on guessing how that could have happened since the snowman didn’t have any feet. If you’re not sure which song to start with, pick this one. It’s really short and catchy, so you’re sure to have fun learning it! This song has some of the more difficult vocabulary among the songs in the list. If you’re a Chinese beginner, I suggest that you pick one of the other songs for now. On the other hand if you already know the basic Christmas vocabulary and want to expand your knowledge, then I recommend spending some time with these singing angels. You’ll get a lot out of it. 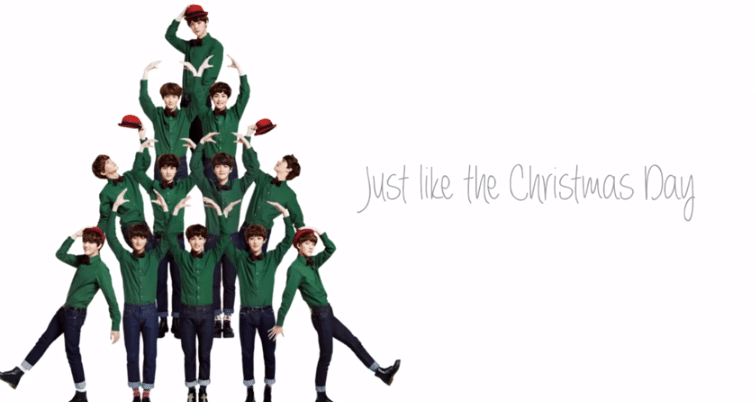 Here’s another wonderful Christmas song by Exo. I think it’s becoming quite obvious that I’m a huge fan of Exo, but I just have to include this song. 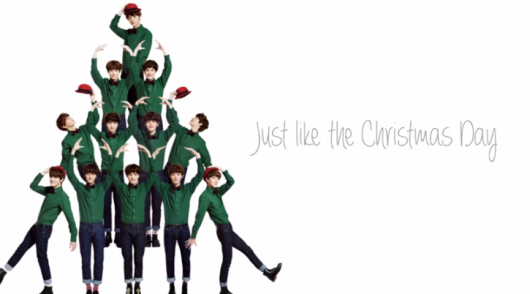 There are only a few Asian singers who would release a Chinese Christmas album, so it’s a great gift that this group actually did. Like their other song in the list, this one is a love song, but it has an upbeat tune so it’ll stick to your memory in no time. This isn’t the Chinese version of the original “Silent Night.” Rather, it’s an entirely different piece for all the single men and women out there. Since Christmas Day for the Chinese is a day for lovers and often creates a lonely vibe for the singles out there, this song is dedicated to them. The vocabulary is a cross between love and Christmas, so you can learn both with this single song. Some of you might want to just learn the basic greetings for the holidays. If this is you, then this song is best. It’s short, it’s repetitive, it’s catchy. You’ll be able to learn those characters in no time! Remember the song “Happy Christmas, War is Over” by Michael Jackson? I’d like to think that this song by Gackt is its Asian counterpart. The inspiration for the song is so similar that both of them give the same message of happiness and world peace. 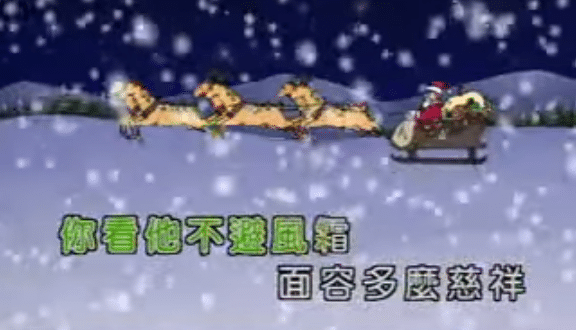 No Christmas song list is complete without this holiday hit, so you should definitely include it in your Chinese holiday lessons. Again, this song has a lot to offer with its rich vocabulary. And that completes the list! Once you’ve listened to and sung these songs so many times that you feel you actually might need a break from Christmas tunes, check out these karaoke classics and Mandopop love songs to keep on learning Mandarin with music. Enjoy! 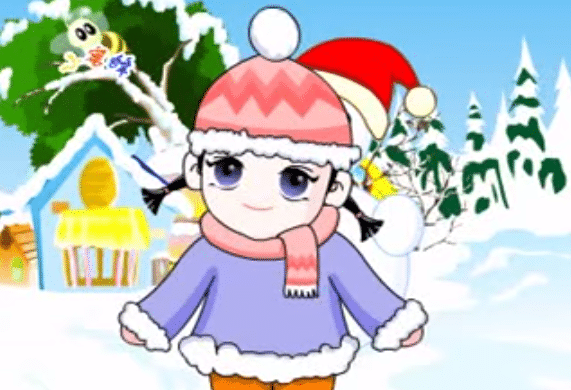 If you love learning Chinese with Christmas songs, then I should also tell you about FluentU. FluentU takes real-world videos like music videos, commercials, news, and inspiring talks and turns them into Chinese learning experiences. It naturally and gradually eases you into learning Chinese language and culture. You’ll learn Chinese as it’s spoken in real life. 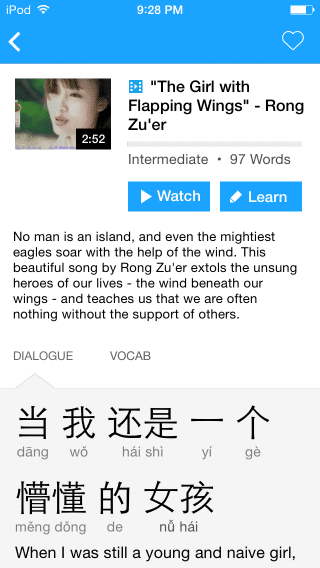 FluentU makes these native Chinese videos approachable with interactive captions. Tap on any Chinese word to instantly look it up. All definitions have examples, and they’re written to help you understand how words is used. Tap to add words to a vocab list. And FluentU’s learn mode turns every video into a language learning lesson. While answering questions, you can swipe left or right to see more examples for the word you’re learning. The most interesting part is that FluentU keeps track of your vocabulary, and it suggests content and examples based on the words you’re learning.